The peacock bird is best known for its brilliantly-colored tail feathers with the distinctive “eye” pattern. This bird is often prized in zoos or in private collections. India has even declared the peacock to be its national bird, according to TropicalBirds.com. 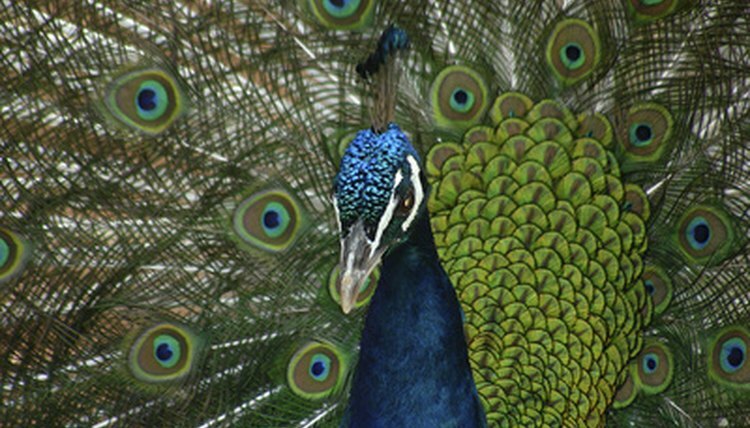 While the term “peacock” is often used interchangeably for both the male and female bird, the males are actually the peacocks. The females are referred to as peahens. Collectively, the birds are peafowl. The peacock’s distinctive tail feathers, also called coverts, are used for displays of courtship and mating rituals. The Congo peacock is native to rain forests in Africa, while the green peacock is native to Myanmar and Java. The blue peacock is native to Sri Lanka and India. According to National Geographic, the tail of the peacock is usually about 5 feet long, while the body tends to be between 35 to 50 inches. According to TropicalBirds.com, while peafowl are able to fly, they prefer to stay on the ground.